What does it mean to be human? 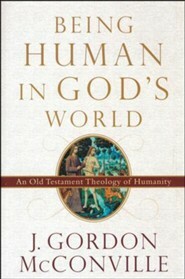 McConville explores this fundamental question through the lens of the Old Testament. Applying the theological concept of the "image of God," he shows how the Old Testament view of humanity as "earthed" and "embodied" provides a foundation for Christian reflection on ethics, economics, politics, and church life and practice. 224 pages, hardcover from Baker. 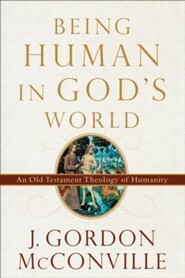 J. Gordon McConville (PhD, Queen's University, Belfast) is professor of Old Testament theology at the University of Gloucestershire in Gloucestershire, England, where he has taught for more than twenty years. He has authored or edited many books, including commentaries on Deuteronomy, Joshua, 1 and 2 Chronicles, and Ezra, Nehemiah, and Esther. I'm the author/artist and I want to review Being Human in God's World: An Old Testament Theology of Humanity [Hardcover].